Skye Sturlese Fantaci has a general civil litigation practice with an emphasis in first -party property damage insurance disputes, insurance coverage, and defense of bad faith claims. She also handles defense of companies against claims for general liability matters such as slip and falls, dog bites, and lease disputes. Ms. Fantaci has successfully represented clients in matters in Louisiana State and Federal courts. 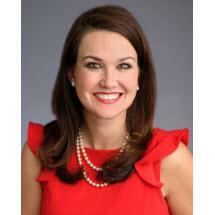 She previously worked as a Law Clerk in the United States District Courts for the Western and Eastern Districts of Louisiana. Skye believes in an aggressive, innovative and thorough approach to discovery and investigation to ensure efficient, expedient and successful results for her clients. She has handled significant motion practice and appellate arguments. Originally from New Iberia, La., Ms. Fantaci completed her undergraduate studies at the University of Mississippi and her law degree at the LSU Law Center. She is very active with a number of non-profits and currently serves on the Executive Committee to the Board of Directors for Second Harvest Food Bank, is a member of the Board of Directors of the New Orleans Salvation Army, and is a member of the Junior League of New Orleans Board of Directors, 2017-2018.